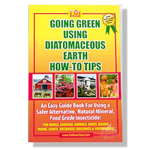 Diatomaceous Earth clings easily to bodies of insects as they walk or crawl over it. 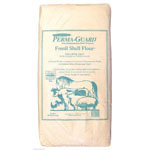 Unlike boric acid dusts that work best when ingested, Crawling Insect Control only requires contact with the insect to be effective. 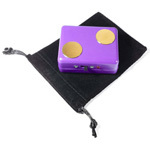 It absorbs the waxy cuticle surrounding the insect, causing the insect to dehydrate and die. 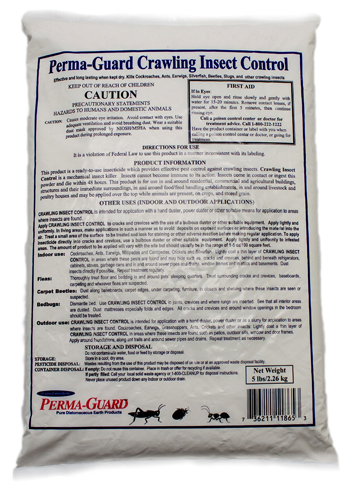 Crawling Insect Control DE is a natural, mechanical insecticide that is an excellent alternative to conventional chemicals. 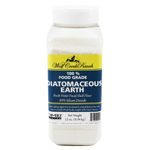 Diatomaceous Earth can also have a very good long term residual effect when applied to cracks and crevices. 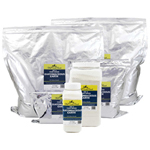 This long term protection and control of insects can be achieved due to Diatomaceous Earth controlling insects by physical means, not chemical, because of this insects and pests do not build up a resistance to Crawling Insect Control DE. 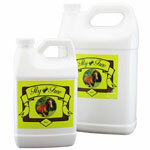 Crawling Insect Control Diatomaceous Earth is odorless and nontoxic. 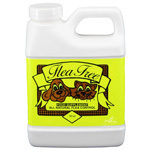 For Fleas: Thoroughly dust carpets and pet�s bedding and sleeping areas, as well as cracks and baseboards.